Most cases of posttraumatic ankle osteoarthritis (PTAOA) represent a sequela of ankle fractures. The cytoplasmic polyadenylation element-binding protein 1 (CPEB1) is an RNA binding protein that controls protein expression. Here, we report the previously unappreciated association of CPEB1 with PTAOA. We found that CPEB1 was upregulated in articular cartilage from patients with PTAOA. Additionally, its expression level positively correlated with disease severity. In human primary chondrocytes cultured in vitro, CPEB1 was upregulated when treated with pro-inflammatory cytokines, i.e., IL-1β and TNF-α, suggesting that the observed CPEB1 upregulation in articular cartilage of PTAOA patients may be attributed to local inflammatory milieu. 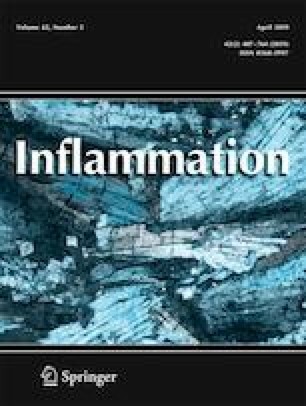 Functionally, CPEB1 overexpression aggravated the catabolic effect of IL-1β on chondrocytes in vitro, and vice versa, its knockdown reduced this effect, together implying a detrimental role of CPEB1 involved in OA progression. In sum, our study identifies CPEB1 as a potential regulator of disease progression of PTAOA. Lei Li and Jiaping Lan are the co-first authors contributed to this study. The study design and sampling procedure were approved by the Medical Ethical Committee of Suining Central Hospital. The informed consents were obtained from all patients who consulted our institution for ankle OA evaluation and underwent amputation.